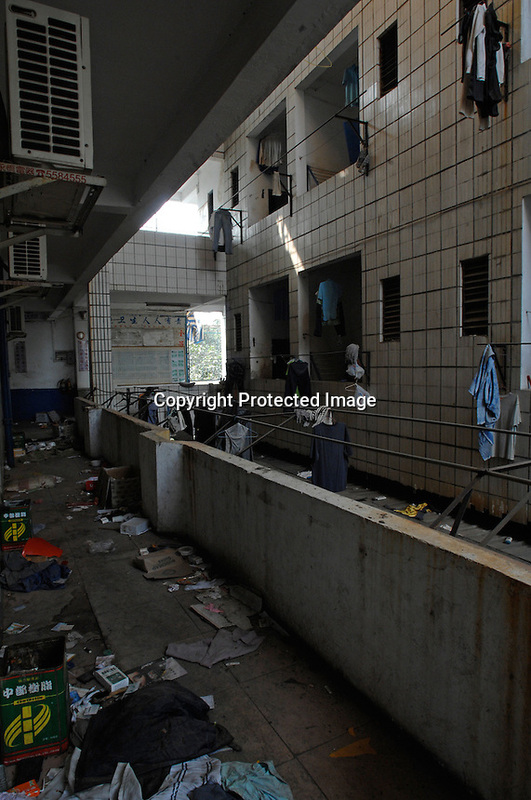 Ransacked and desterted dormitories in Dingfu Factory in Houjie Town, Donguan, China. A sign outside the factory that made shoes for Zara and Nine West amongst others, reads that the "Donguan People's Court have closed the factory" . As the economy changes and Chinese labour gets more expensive, factories are cosing leaving ghost towns behind them.